The roller bearing for the output shaft (behind the front sprocket) on the 250/350/400/500/750 triple models and the input shaft (behind the clutch) on all the triples EXCEPT the 750 H2 model. 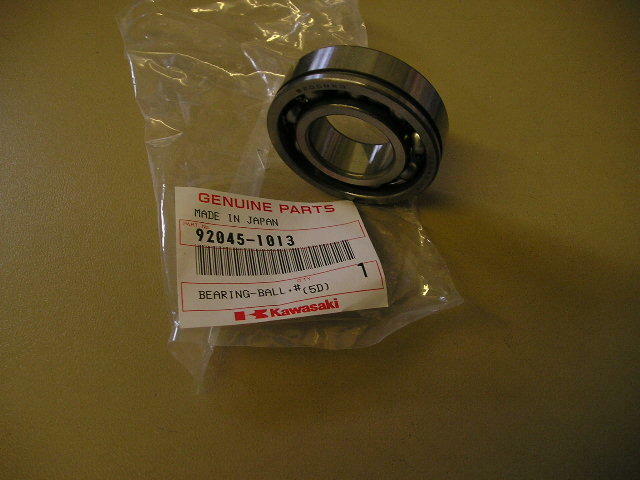 bearing number is 6205NX3. so there is 2 used on the 250/350/400/500 and just 1 on the 750.